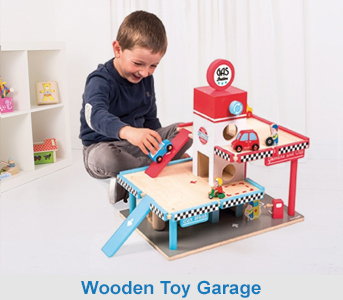 Welcome to WoodenToyShop.co.uk where you will find a wide selection of modern, classic and traditional wooden toys for children of all ages. We passionately believe that our extensive range will have you ‘oohing’ and ‘aahing’ as you choose something special for your favourite little one. 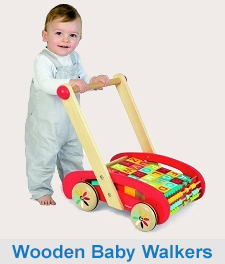 There are numerous benefits of wooden toys which add to their appeal, for example they are more eco friendly when compared to modern toys made from man-made materials. 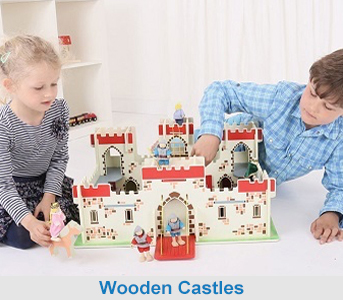 Not only this, but as they are built to last, these toys benefit from longevity and are often passed down from generation to generation, meaning that they offer excellent value for money, hours and hours of fun and a lifetime of cherished memories. 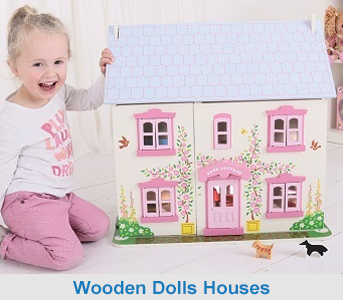 Whatever the age of the child you have in mind, we are sure you will find the perfect gift for that special little person on WoodenToyShop.co.uk. 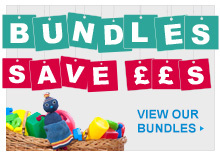 If you are buying for a baby or toddler, take a look at our extensive range of baby and toddler toys which include baby mobiles, building blocks, pull along toys and other learning and educational toys such as wooden letters and shape sorters. 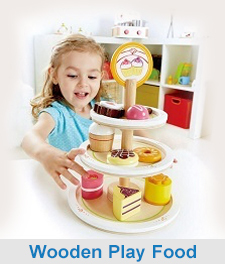 Our toys and games offer many developmental benefits. 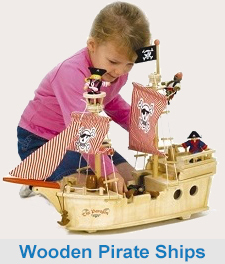 We understand how important it is for children to learn through play so many of the toys we have chosen to sell encourage kids to play creatively, socially and imaginatively. Our toys will help with the development and improvement of gross and fine motor skills and they will challenge little ones to learn how concentrate and solve problems, although we insist that fun is their number one priority! 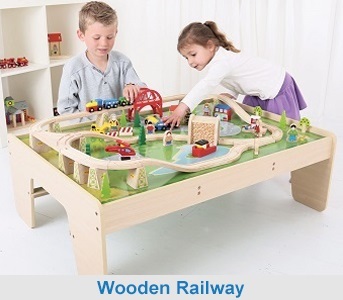 For older children we have a great selection of girls’ and boys’ toys such as wooden train sets, pirate ships, dolls’ houses, rocking and hobby horses, , wooden farm sets, balance bikes and easels. We’ve even got a superb range of quality toy boxes to store the toys in after a long day's play. 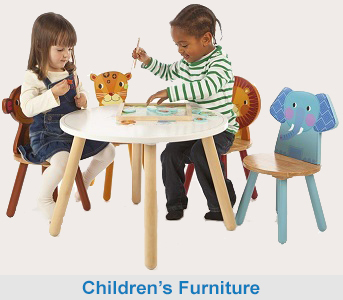 As well as toys, we also sell a fantastic range of children’s furniture, including chairs, desks, beds and wardrobes to make their bedrooms somewhere really special to rest and play. Our range of traditional wooden games will take you back to your own childhood when a game of dominoes might have been followed by tiddly winks, snakes and ladders or pick up sticks. 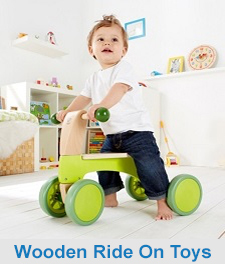 Although some people see games and toys as precious reminders of a bygone era, many of today’s toys are stylish and contemporary. 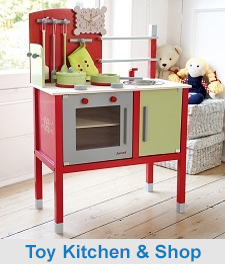 For example, our gorgeous toy kitchens are bang up to date and some of our first bikes would not look out of place on a race track! Whether you prefer classic or modern, or (like us) a combination of the two, we’re sure you will find the perfect present among our cracking selection of games and toys. 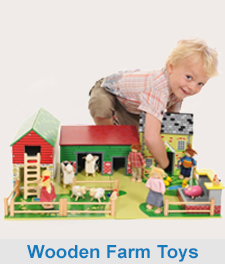 We sell toys from not only the major toy brands such as Papo, Streets Ahead Dollshouse, Lanka Kade, Tidlo, Melissa and Doug, Janod, John Crane, Pintoy, Brio, BigJigs and Orange Tree Toys but also from less well known companies such as Vilac Toys from France that produce beautifully crafted handmade toys and furniture. 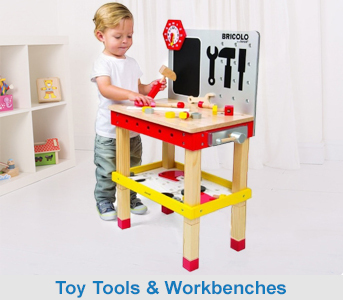 This, combined with our fantastic customer service makes WoodenToyShop.co.uk the perfect place to buy the perfect toys for children. 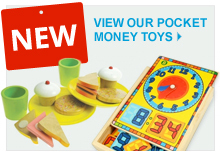 We are pleased to be listed on Toy Shop UK, a directory of leading toy suppliers.